Business tax strategy is at its most challenging when success ushers in the promise of major growth. At this "moment of truth" the thorny special issues associated with international expansion loom over the fate of the company. These issues can be summarized in two words: transfer pricing. In this extended hypothetical case history, presented in narrative style with an abundance of graphic material, the authors lay bare the minutest details of transfer pricing planning and how the process engages and affects the ambitions, insights, and interactions of the group of business people and advisors involved. Because of this exposure to decision making and consulting dynamics, the reader gets a taste of the trade-off between "correctness" and practicality. In fact, a more practical approach to the subject is hard to imagine. The book's format, innovative in every way, finds plenty of room to define every term, cite every source, and describe every opportunity or pitfall affecting the tax aspects of such processes as moving into new jurisdictions, restructuring operations to create regional or global centres of excellence, or changing supply chains. Scores of information-packed tables, graphs, flowcharts, and other illustrations--often in the form of slide presentation screens or "real-world boxes"--enhance the in-depth discussion of such aspects of international tax planning as the following (among much else): choice of tax status; investors and control; licensing and intellectual property issues; accounting methods; recruiting foreign personnel; and tax audits by revenue authorities. 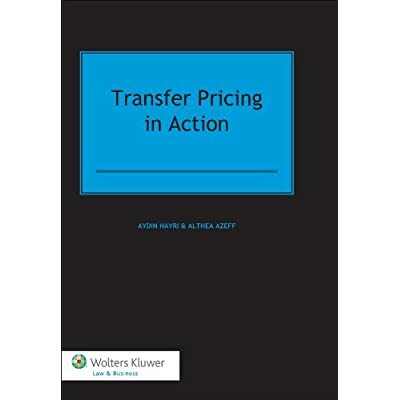 In a business environment where transfer pricing has emerged as the most dynamic area of international taxation, following extensive legislative activity and rulemaking, this remarkable book bridges the abstract theory of transfer pricing and its everyday practice in a very accessible way. No other book on the subject is so practical or so down to earth. Lawyers and other professionals in international taxation and tax law will find it enormously appealing, informative, and useful.